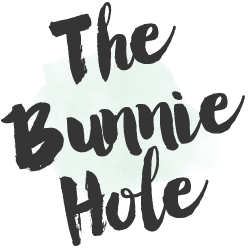 Today's post is extra exciting because its something that I just mastered myself a couple of days ago and thus I've been itching to share it with you. 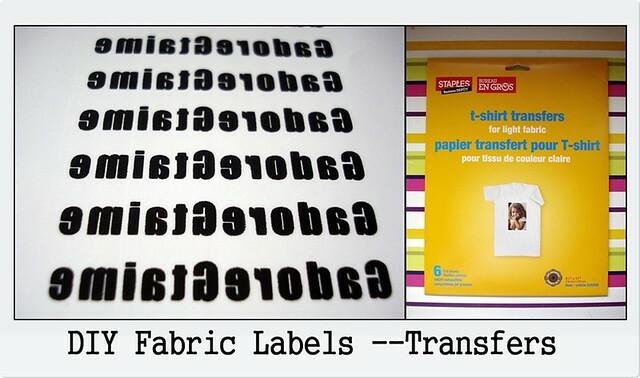 If you dread using a Sharpie to label your kids clothes, this may be the perfect solution. 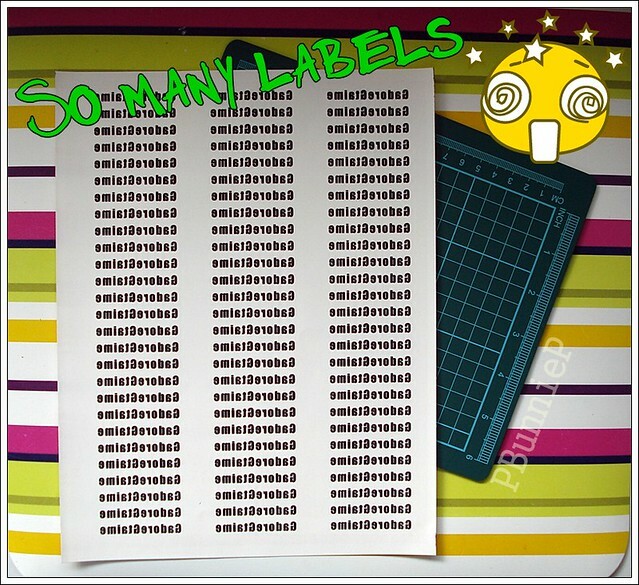 Or better yet, if you craft this is a great way to label your items with sizing and your shops' name. It may take a couple to get it right, but once you passed the learning curve, you'll be speeding on your way. 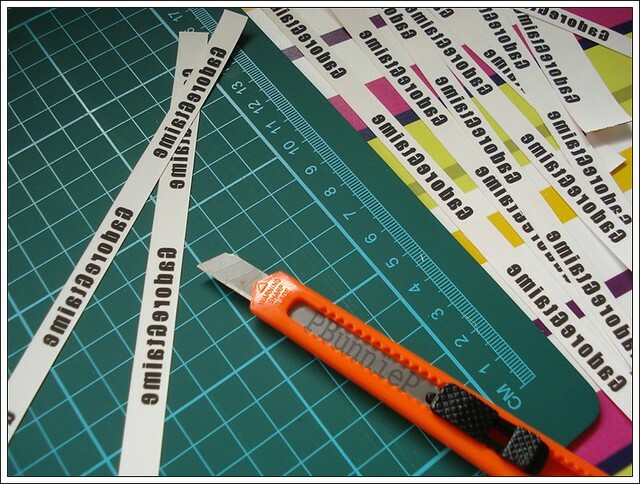 Print any size you want, any colour you want and certainly you can print designs as well as text. I've seen a couple of tutorials on this around the web (this one from Patchwork Pottery was especially simple and clear) but haven't found a great video instruction, so...here's mine. But first, a couple of things that you'll need for this DIY. 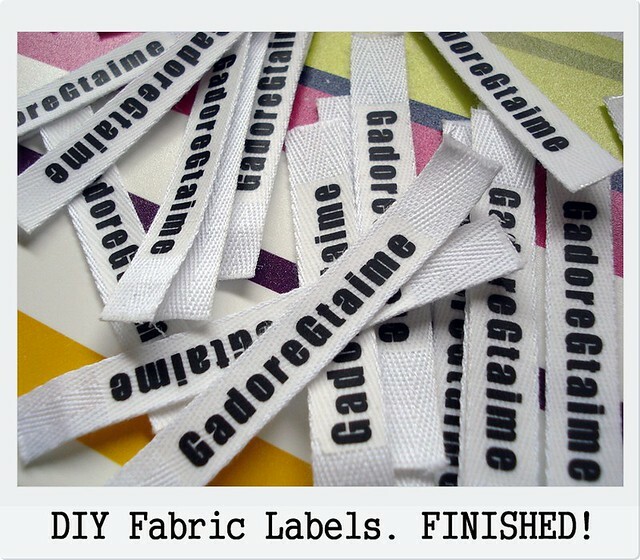 My label sheets were the cheapest kind from Staples, though you may might need to try out a couple of kinds to see the best ones for your fabric. These seem to work fine so far. It doesn't really matter, just make sure its cotton because the transfer paper works best on cotton. I'd avoid ribbons just to be safe because they might be hard to stick on. Maximize utility by putting as many as you can on the sheet! 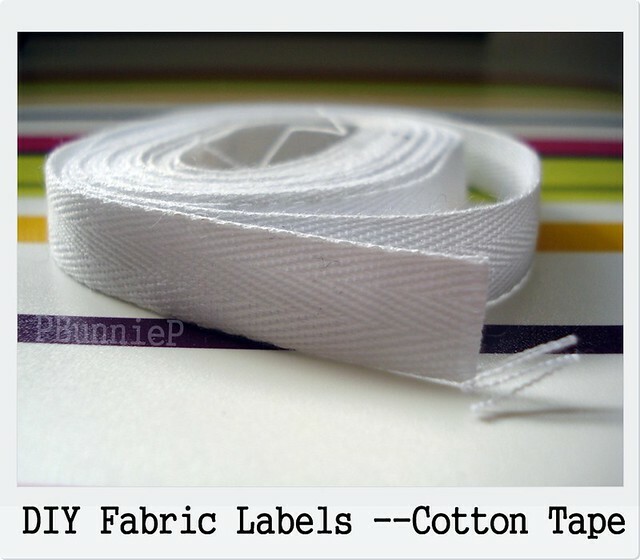 TIP: I find slicing it with a knife gives a cleaner line and is easier to control than using scissors, it will make it easier to fit it onto your cotton tape later. Follow the instructions to press, cool, peel and VOILA! 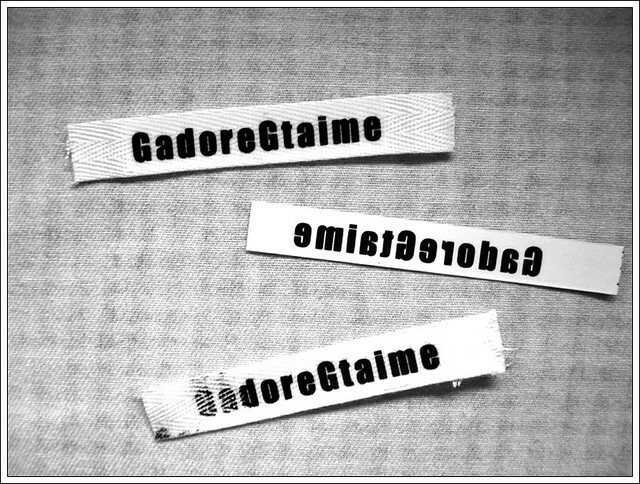 and do let me know if you decide to make some yourself ^-^"
I just made 2 good looking labels! 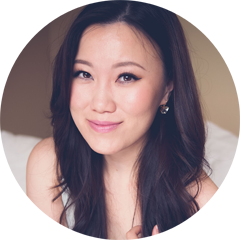 I tried before, but I picked a tiny script font and I don't think my iron was hot enough, but I watched your video on Youtube again, and I used a larger, bolder, non-script font. And it worked! Yay! Thanks for sharing! How do you type out your words (for your label) where they will be in reverse (like looking into a mirror? I'm working with OpenOffice.org Writer.